Welcome to the home of Opie's The Stove Shop Limited, we as a company have been dedicated to delivering expert advice and the supply and installation of top of the range woodburning stoves and multi-fuel stoves for over 30 Years across the UK. Our aim as a business is to supply and install high quality wood burning stoves at competitive prices, identifying individual expectations, with prices to accommodate all budgets. With Energy prices continuously rising, people are looking to enjoy a bright, hot relaxing alternative, which is what we aim to provide. We have Full time Hetas Engineers employed by The Stove Shop, so customers can be assured all our work is carried out in the safest, cleanest and friendliest manner. They all have the relevant qualifications and years of experience to carry out all aspects of the work needed ranging from straight forward installations, chimney lining, Twinwall Chimney Systems and fireplace alterations. In addition, all our stoves come with a full warranty from the manufacturer. 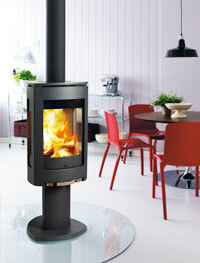 Looking for a Wood Burning Stove in Colchester? If you are looking for a wood burning stove in Colchester, Opie's can provide installation services within the Colchester area. If you would like some further information about the log burners and multi-fuel stoves that we stock, please do not hesitate to get in touch with us. If you are searching for wood stoves in Colchester or Chelmsford, our showrooms are situated near to both of these areas. We have over 100 wood burning stoves on display in our showrooms and are confident that we can help you find your ideal wood stove. In addition to installing wood burning stoves in Chelmsford and Colchester, we also cover a variety of other locations such as Essex, Southend, Brentwood, Romford and Great Dunrow.